Alfreton Town return to league action on Saturday afternoon, as we welcome league leaders Chorley to the Impact Arena, kick off is 3pm. After Tuesday night's success in the Derbyshire Senior Cup semi final at local rivals Matlock Town, the Reds will be looking to build on the positive result as we progressed into another DSC final and also the positive impact on morale heading into tomorrow's game. After taking the lead on Tuesday thanks to a Reece Styche finish from a glorious Jordan Sinnott pass, Matlock hit back with a double from Margetts, the first from the penalty spot and then a low deflected finish, it was looking like yet another frustrating performance from Alfreton with the pressure on heading into the second half. However Billy Heath's men switched up the tempo in the second half with a crucial equaliser coming from Danny O'Brien after the hour mark before another outstanding finish from Styche turned the game around. Bobby Johnson then added a late fourth to seal our spot in the final against Mickleover Sports. It was a much better second half from the Reds who dug in and utilised the quality throughout the side to get the job done. Attention now turns back to the league where form has seen a slide into the lower reaches of the table, although we have lost our last two league games, the gap to the drop zone has remained at eight points. Consistency has been an issue all season for the Reds with many games providing sub plots and implosions which have cost us points on many occassions. 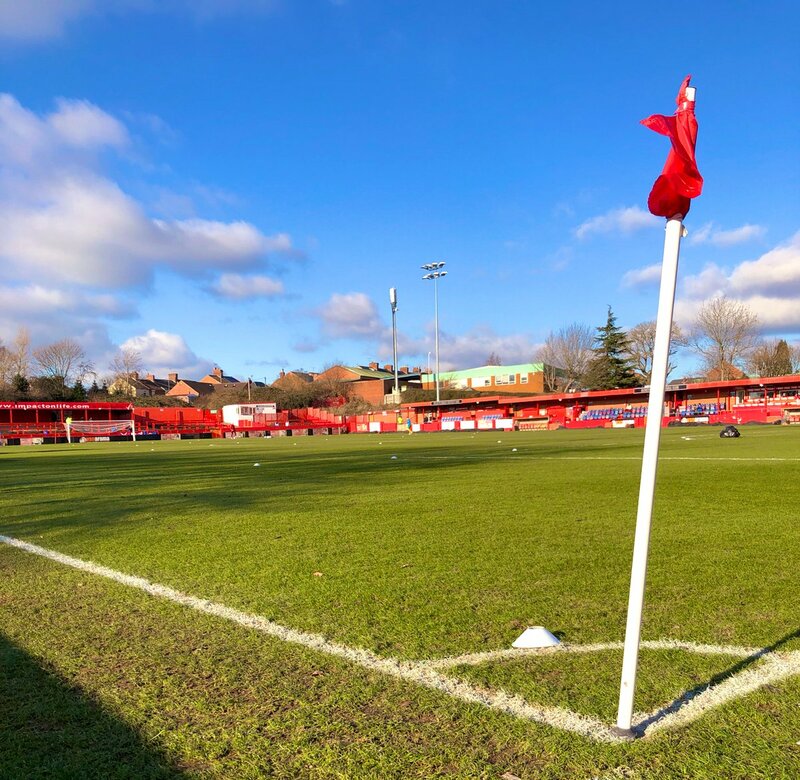 With the league leaders in town, it will be stern test with Alfreton certainly needing to match Chorley in all departments; the Reds can no doubt play with freedom against the table toppers and will look to take the game to the visitors. We head into the game having won just one of our last eight league games (Kidderminster 0-1), the 4-2 win over Matlock did end a run of two defeats in a row but the Reds will be looking to turn league form around to prevent the cushion to the drop zone potentially closing. Home form has been a struggle all season with the Reds win-less in the last five league games at the Impact Arena (D3, L2), our last win at home came against Buxton in the DSC back in December. Leaders Chorley arrive with a six point gap to nearest challengers Stockport County and have 60 points from 29 games. Their current playing record stands at: P29, W18, D6, L5. The Magpies have won four of their last five league games and have only lost once (Southport 5-3) in their last nine league games. Away form for the visitors has seen them win just once in their last three outings but they have scored seven goals in their last two trips on the road. Chorley have only lost three times away from home in the National League North this season (Southport, Stockport and Bradford PA). Chorley 3-1 Alfreton Town (Saturday 15th September 2018) - The Reds suffered back to back defeats back in September at then runaway leaders Chorley, it was Alfreton's first game since Tom Denton left for Chesterfield and it proved a difficult one, despite a Bobby Johnson screamer to pull a goal back at 2-1 mid-way through the first half.